During the last summer semester, two friends of mine and I made a student project called TechTrends. TechTrends was a web application that let you search for articles and trends in the field of computer science. Based on posts from Reddit and Hackernews, it provided an intelligent search on a growing number of articles and blogs. 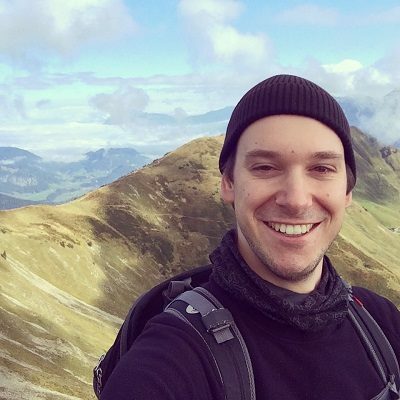 During this winter semester I continued the project and implemented a sentiment analysis for TechTrends. Based on the existing infrastructure such as our database and our crawler, I add an automated categorization of articles according to their comments on Hackernews and Reddit. You can find the old and stable version of our project under http://techtrends.mi.hdm-stuttgart.de/. 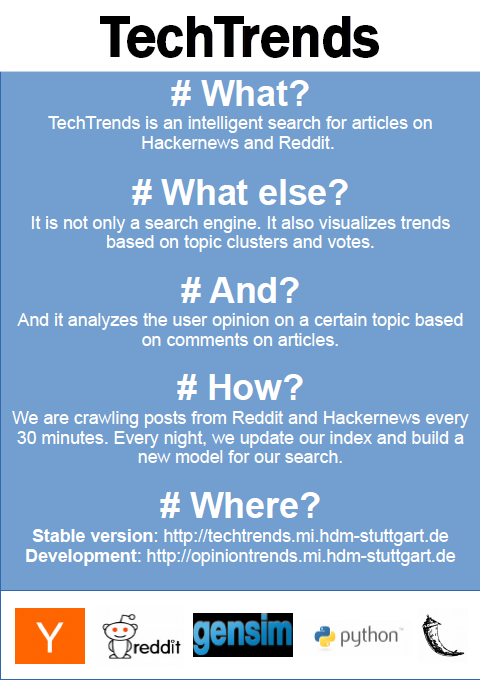 The up-to-date development version is available under http://opiniontrends.mi.hdm-stuttgart.de/. I will present the project at the Media Night at our university next week. It’s open for everybody and for free. It will start around 6 pm, but you can come whenever you want to, there is no schedule. Every project has its own booth, where it is presented and where you can ask question and get in touch with the people behind it. You can find the program and information about all projects on http://www.hdm-stuttgart.de/medianight.